Got a call from TastyKhana. They managed to get restaurant owner on conference call. Restaurant owner accepted that, they served order in different container which is smaller than their regular containers. Of course, restaurant owner did not comment how smaller last night’s container was! Now, TastyKhana said that they cannot help in because order was “discounted”. Otherwise they would have penalized restaurant and give me refund! What a lame excuse! Anyway, this whole issue wasn’t about getting refund of say hundred bucks. It’s more about seeing how morally strong TastyKhana team is! I have started to feel that online shopping is not for me! Last thing I expected was a food delivery from my favorite restaurant to go wrong! 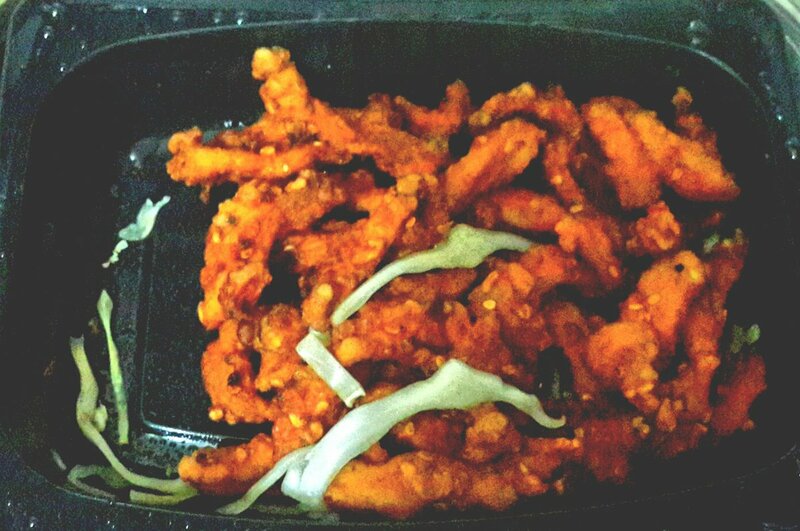 I placed my first order on TastyKhana to Uncle Chinese restaurant. I ate more than hundred times in last 7 years. Yes, more than 100 times! In fact the restaurant has gone through many changes since 2007 when I ate there first. 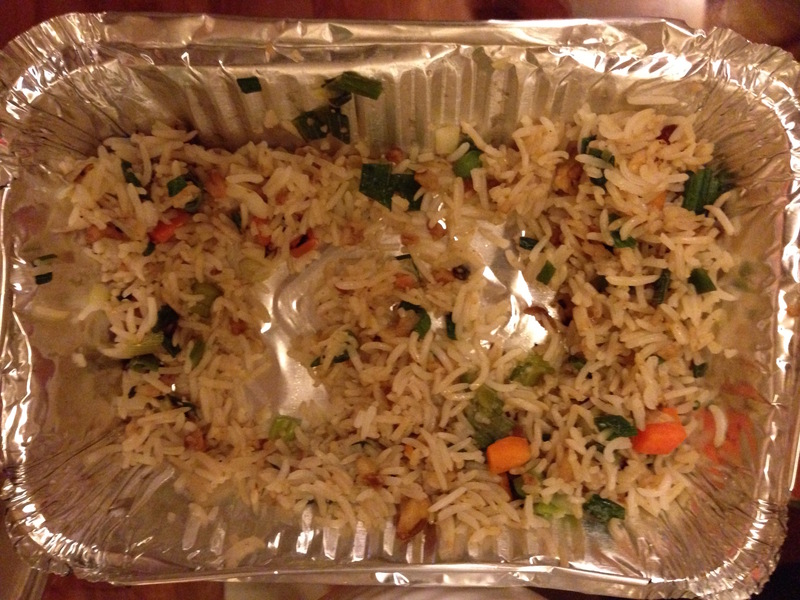 As TastyKhana is running some discount offers, I decided to give ordering via TastyKhana a try. As we have ordered from them many times, I placed my regular order, only with “discount” this time! This is how it looks. I copied following image from their Zomato listing as I did not take photo last time. This is what I got today. This box is much shallower than above box with almost same height and width. That made quantity around 50% only. Sealed box brings food hotter. 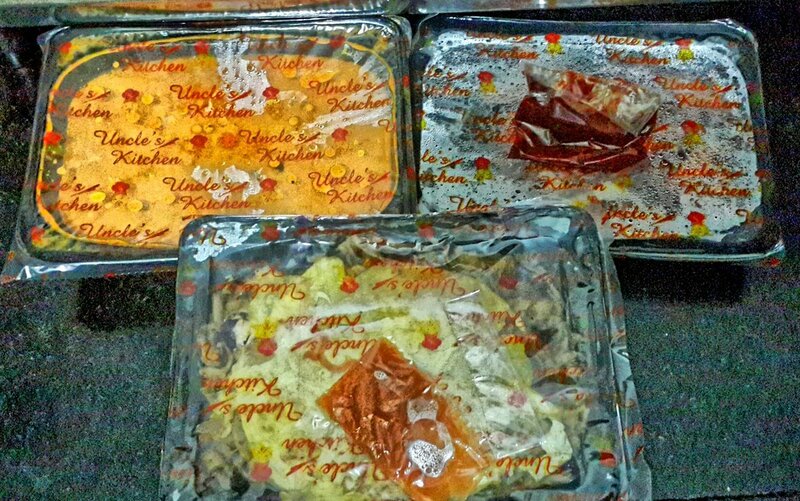 As TK orders took more time to deliver, the food was not as hot as we get with direct order! Please note that TK delivered in time they have promised. It just if I call Uncle Chinese directly, they deliver faster. May be delivery time has something to do with extra entity being added. Also, as TK orders are prepaid, during rush hours, Uncle Chinese or other restaurants may give TK orders less priority. The 3 boxes felt so small that I asked TK guy that I ordered 3 items and this looks like 2 only. He asked to look into the carry bag. I saw 3 boxes but before I can give him my feedback, he already left. Only thing he confirmed was if the order was already paid! I am not sure if it’s Uncle Chinese or TastyKhana’s fault. If TastyKhana is playing tricks here then they should understand that people might have ordered directly before they “invented” online food ordering! So the customer knows what to expect! It may look like that we got 50% less food for 35% discount! May sound like not a loss at all. Except that we had to arrange food for 2 people as the quantity was not enough for 4 people! But overall I won’t order again via TK. At least to restaurants who are not part of bigger chains. I hope this kind of “downsizing” is not possible with restaurants who are not part of bigger chains. I mean they cannot cut 6″ sub to 4″. Right? Or can they? It’s the same with Red Panda. NEVER try their services. I guess u meant food panda. I haven’t tried them but I will prefer to order directly from restaurants in future. Yes. Food Panda. Just check their Facebook page for the horrible reviews they’ve received.